We talk a lot about ways to improve memory and learning here at the Learning Scientists. We talk a lot about ways to remember MORE information. The strategies that we advocate for all have been shown to improve memory, to increase the likelihood or frequency that we will remember something in the future. But today I’m not going to talk about remembering something. Today I want to talk about forgetting. Forgetting is not the opposite of remembering. In fact, forgetting can help memory! It is important that we remember appropriate information at the opportune time (i.e. the answer to a quiz question, where you parked your car, the name of a colleague). It is also important that we don’t remember inappropriate information at the inopportune time (i.e. the wrong answer to a quiz question, where you parked your car last week instead of today, the name of the wrong colleague). Cognitive psychologists have tried to explain how and why we forget in many different ways. One way in which forgetting, and lack thereof, has been described has been in terms of interference (1). If you have trouble remembering something because old information is coming to mind instead of the new information, we call it proactive interference. For example, if you have trouble finding your car because you went to where you parked yesterday, instead of today, then we would say that yesterday’s car location proactively interfered with today’s car information. On the other hand, if you have trouble remembering old information because new information is coming to mind instead, then we call it retroactive interference. For example, if you have changed phone number or moved and you’re asked about your old information you may have trouble remembering it because your new address or phone number come to mind instead. In the case of interference you are not only forgetting the information you want, you’re remembering information you don’t want. In other words you’re NOT forgetting information you don’t want. Another explanation for how and why we forget has been in terms of disuse or decay (2, 3). Sometimes we forget things simply because we haven’t remembered it in awhile. For example, you can probably remember what you had for lunch yesterday. How about last week? Last month? Unless there was a reason for you to recall the contents of your lunch, you likely forgot it over time. Assuming that you have not had any reason to recall your lunch, you are most likely forgetting past lunches due to decay and not interference. So how can forgetting - whether it’s caused by interference or decay - help us remember? Let’s take the simple example of remembering where you parked your car. 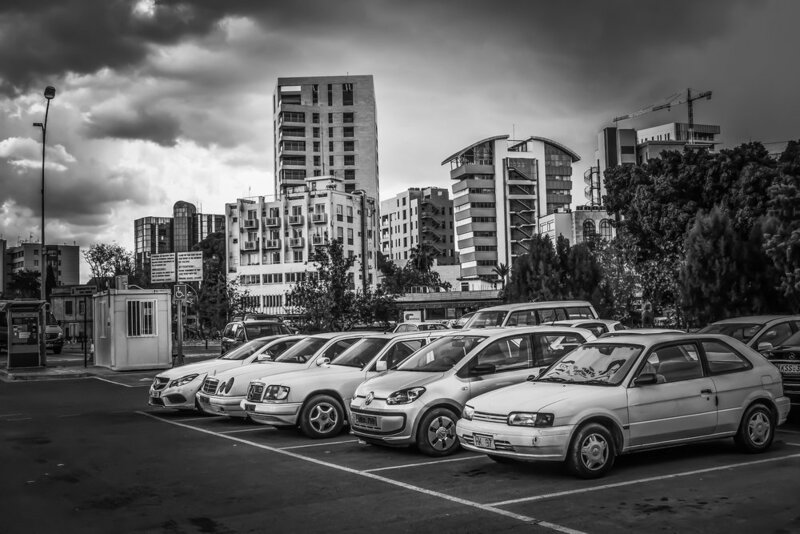 You go out to the parking lot or garage and instead of sifting through a few ideas from today or last week about where you parked your car, you suddenly remember where you parked last Wednesday and Tuesday from 3 weeks ago, and the hundreds of other times you have parked your car. Some of these locations and memories may be helpful to you at present, but many are not. Forgetting helps us be selective, strategic, about remembering. We don’t get overwhelmed with ALL of the possible information when we try to remember something because our memory system uses certain tricks and hints to help us remember certain things and forget others. We remember certain bits and pieces of information over others based on context, frequency, and recency. Things that we have had to remember frequently and most often typically come to mind much more easily. This also means that things we haven’t needed to remember frequently or recently don’t come to mind as easily. Forgetting can be frustrating. But it’s the flip side to remembering. Forgetting helps you remember by presenting you with fewer options. Most of the memory strategies that we talk about can also be framed in terms of forgetting strategies. Practicing retrieval of certain information helps you recall that information and forget other information (4). Spacing and interleaving take advantage of difficulty of retrieving information, or potential forgetting, to improve memory (5, 6). All of this is to say - don’t be discouraged or hard on yourself when you forget something. Forgetting is actually a very useful part of your memory! Underwood, B. J. (1957). Interference and forgetting. Psychological review, 64(1), 49. McGeoch, J.A. (1932). Forgetting and the law of disuse. Psychological Review. 39 (4): 352–370. Mc Daniel, M. A., & Butler, A. C. (2011). A contextual framework for understanding when difficulties are desirable. In Successful Remembering and Successful Forgetting: A Festschrift in Honor of Robert A. Bjork (pp. 175-198). Taylor and Francis.